Dinosaur Tooth Necklace. Tyrannosaurus rex. 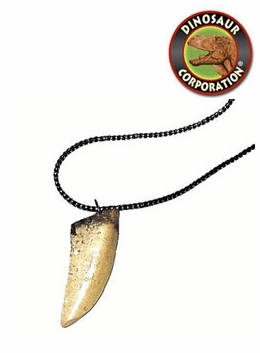 T-rex tooth necklace is on 16" black cord. * Age 5 years and up.